Kia Motors America’s (KMA) funky urban commuter, the 2016 Soul, has again been named as one of the 10 Coolest Cars Under $18,000 according to Kelley Blue Book’s KBB.com. This year marks the Soul’s fifth consecutive appearance on the list, which features some of the most fun-to-drive and fun-to-own vehicles on the market. Once again, Kelley Blue Book editors chose the Soul based on its head-turning style, extensive feature content, and excellent value. 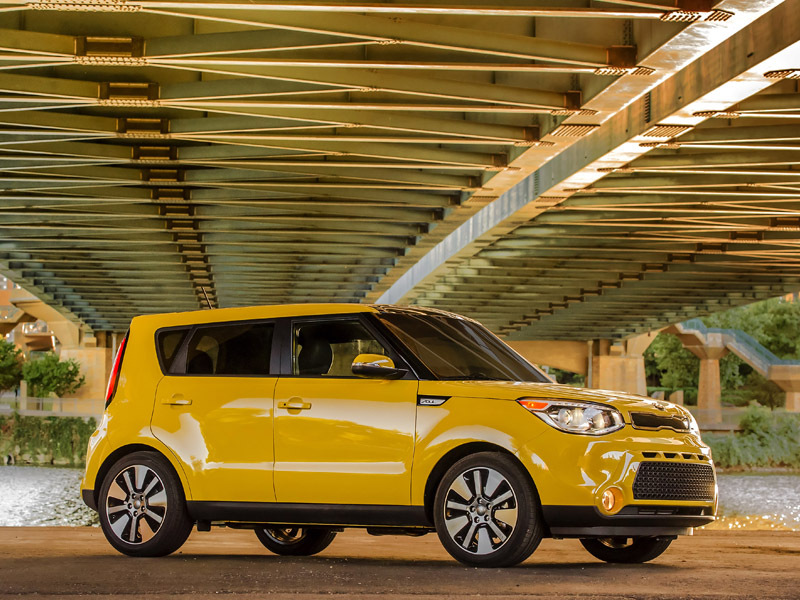 With a base price of $15,900[i], the Soul offers wagon-based practicality, plenty of passenger room, and a feature-rich interior. “The Soul’s fun and funky personality is infectious, and the fact that it’s been a mainstay on Kelley Blue Book’s list of 10 Coolest Cars Under $18,000 is a clear indication that the Soul offers the perfect blend of style and substance,” said Orth Hedrick, vice president, product planning KMA. For 2016, the Soul gains even more style with a new Designer Collection package, which plays up the hatchback’s fun-loving attitude with a two-tone paint scheme and other unique elements. The optional Umber Color Package also now benefits from HID projector headlights. The Soul’s high level of content also increases with two newly available convenience features: Forward Collision Warning System (FCWS) and Lane Departure Warning System (LDWS)[ii]. Both are included in a new Premium Package which also includes navigation, an upgraded Infinity® audio system[iii], string-LED front speaker surround mood lighting, a panoramic sunroof, ventilated front driver and passenger seats, seat heaters for all four outboard positions, a 10-way power adjustable driver’s seat, a leather-wrapped and heated steering wheel, and a leather-wrapped gearshift knob. Available in three trim levels (Base, Plus, Exclaim), the Base Soul comes standard with a gasoline direct injection (GDI) 1.6-liter all-aluminum DOHC four-cylinder engine that makes 130 horsepower (at 6,300 rpm) and 118 lb.-ft. of torque (at 4,850 rpm). Plus and Exclaim models enjoy the more powerful 2.0-liter NU power plant with GDI technology. Power is rated at 164 horsepower at 6,200 rpm and 151 lb.-ft. of torque at a 4,000 rpm. The 1.6-liter engine is mated to a six-speed manual transmission or an optional six-speed automatic. The Plus and Exclaim models are available exclusively with the six-speed automatic gearbox.